Coming soon! From Scott Harris! 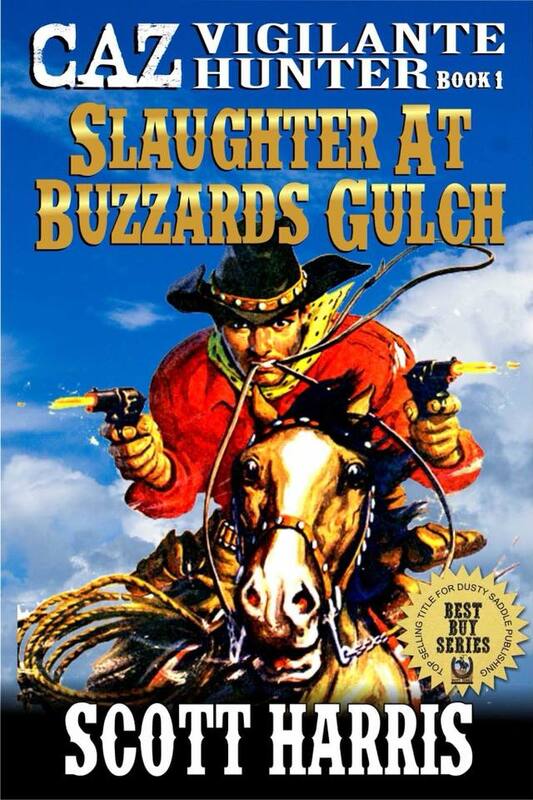 With gun in hand—Caz blasts his way through the bad guys to bring peace and justice to the Old West! Caz is looking for two things: the perfect breakfast and men who think they’re above the law. He hasn’t yet found a breakfast to match what his mom used to make, but there’s a trail of dead men behind him that shows he’s having no trouble finding bad men. Caz is the self-appointed judge and jury, operating outside the law, tracking down those who the law can’t find. And when he does find them, which he will, there is only one sentence. Keep your eyes peeled for this brand new audiobook adventure! You’ll love the sound of “Caz” in vibrant living stereo! You can collect other great Scott Harris Kindle and Paperback titles by clicking here.